I LOVE glass tile! If you have been in any home improvement store or tile shop in the last year, I’m sure you noticed that there are a million different glass tiles on the market. From modern to rustic, and in all shapes and sizes, glass tiles can be used almost anywhere. I wanted to take a moment to share my very favorite glass tiles with you. 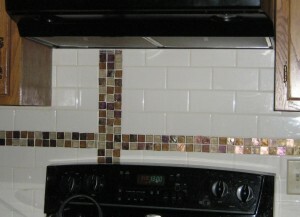 I love them so much, I used them in my own kitchen backsplash! Oceanside Glass Tile, located on the West Coast, offers a unique tile. They are both rustic and modern at the same time. I’ve used them in lodge homes, as well as more contemporary settings. They are crooked, jagged, iridescent, frosted, clear and colorful. Some blends contain stone. This company uses recycled glass from bottles for its tile, making them a sustainable choice, too! And (I’m not going to lie) they are expensive. There are certainly less expensive glass tiles out there, but there are also more expensive glass tiles. However, the beauty of glass tile is that you often don’t need a lot of it to make a big statement! 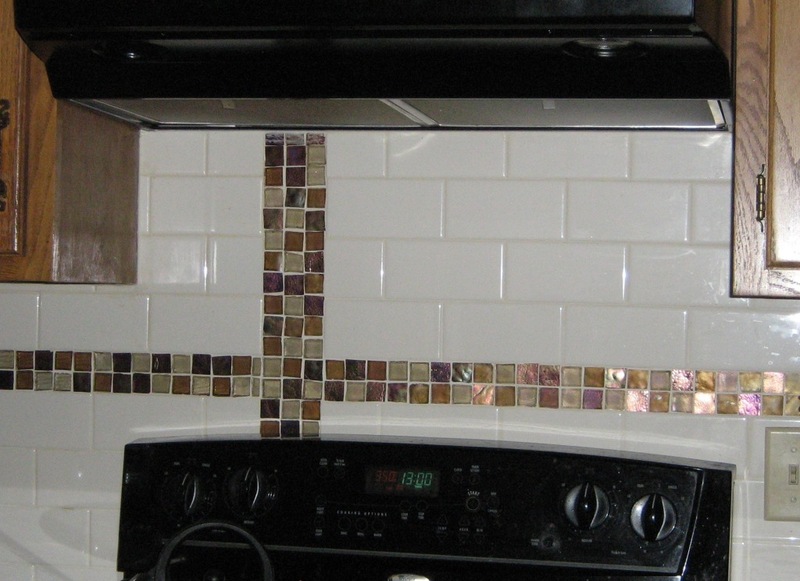 Just a few square feet around a kitchen backsplash or fireplace creates a one-of-a-kind look on a budget. I especially love their custom-blend option. If you just don’t see a tile blend that will work for your project, check it out! Choose from their dozens of colors and sizes and create your own blend of tiles. Once you find something you are happy with, your local showroom can get a sample for you to approve. Best thing? A custom-blend often costs the same as one of their pre-blended options! You will also be pleased to know (I know I was) that they have an outlet site! You can save up to 70% on their tiles – in many shapes, colors, materials and sizes. This is the only way you can purchase tile directly from Oceanside Glass; all standard orders must be placed through a local showroom. But, if you are willing to take a chance on color and purchase tiles that cannot be returned, this could be a great option for you. ← Can I Use a Chandelier Over My Bathtub?